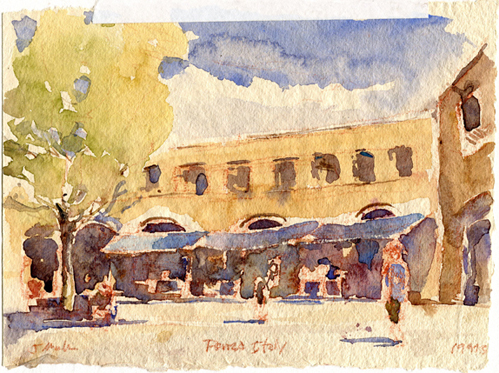 The watercolor below is the first of a series I did on the central California coast. 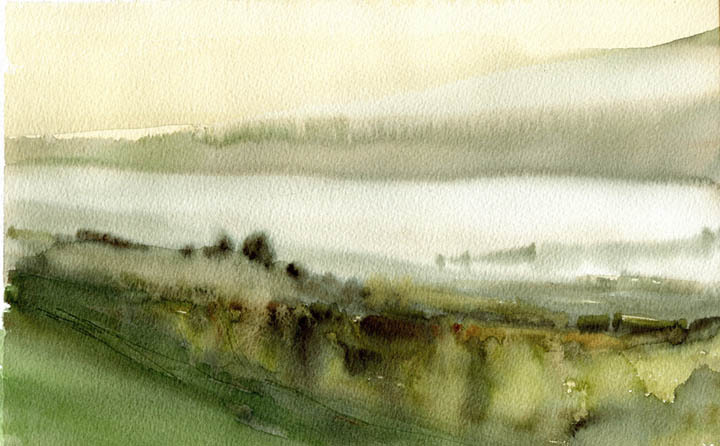 I have been painting watercolors for most of my art career. 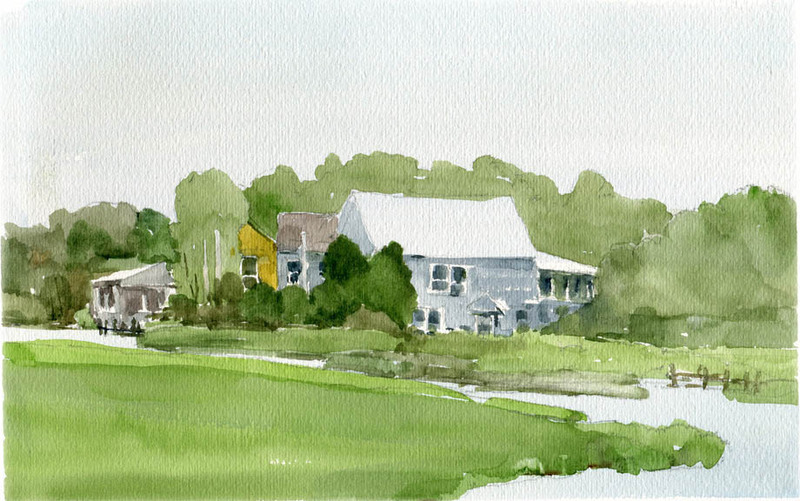 My work is sometimes very informal, as a quick watercolor sketch from a train window, or a watercolor done on site with the comfort of an easel, assortment of brushes and stable ground.